Some of the more feral and tribal cultures are prone to taking trophies from each kill they make. 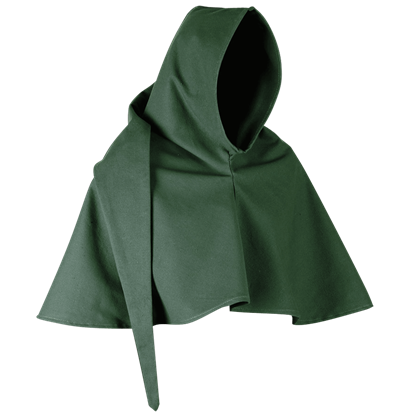 Orcs, goblins, wild elves, and even humans have done it. 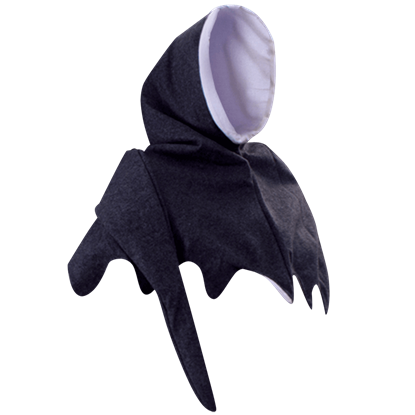 And now, in your LARP setting, you can too with this eerie looking Stitched Skin Trophy Mask! 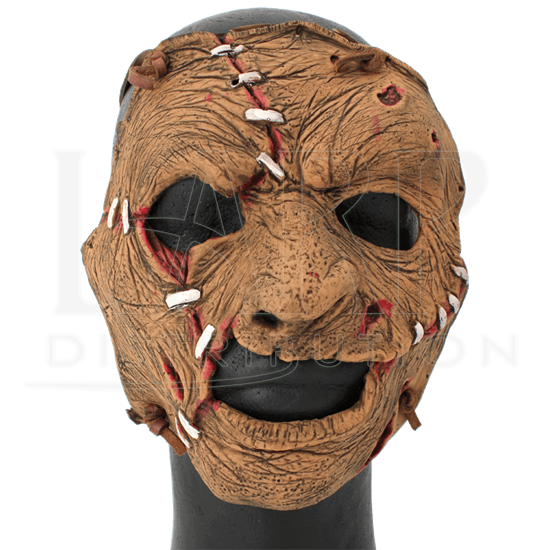 The mask is crafted entirely in latex, and it comes with knotted leather cords and a metal ring, allowing it to be easily worn at the belt or over the face. 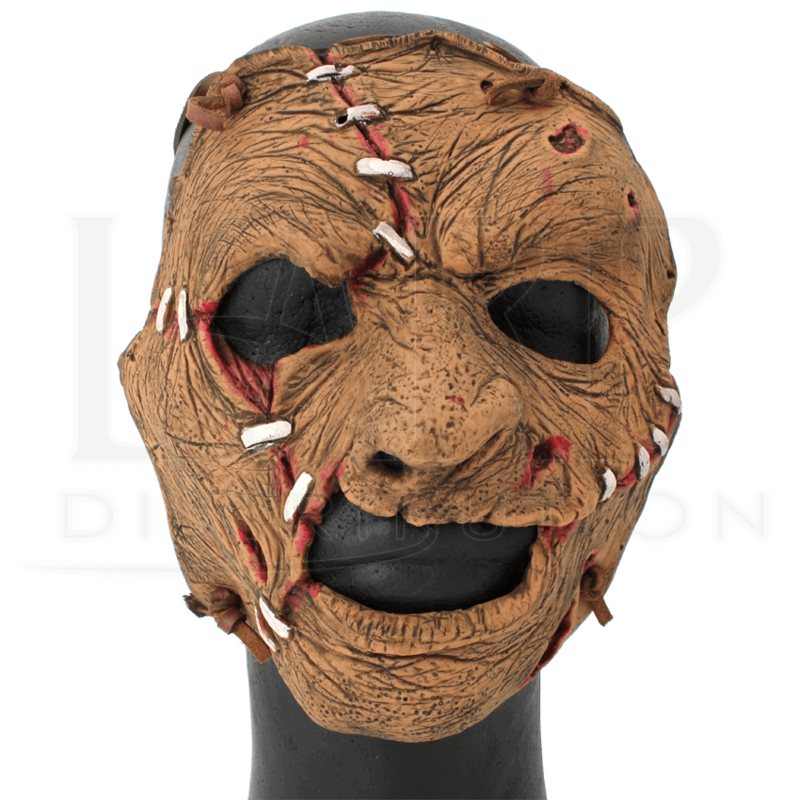 Human skin tones are warped and tried and pieced together with stitching to make a leather-like mask worthy of a killer in this piece. The back of the mask is colored crimson to give it a recently created look as well. 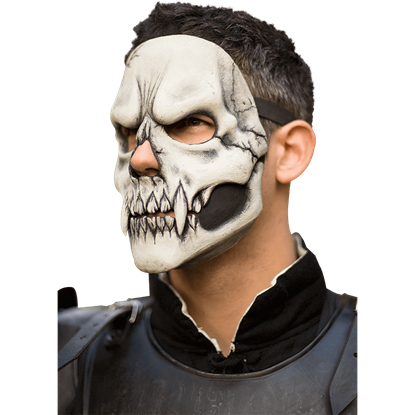 It is a touch of horror that well-serves any dark LARP theme that seeks to bring a bit of wild fear and sinister style to the field of battle. 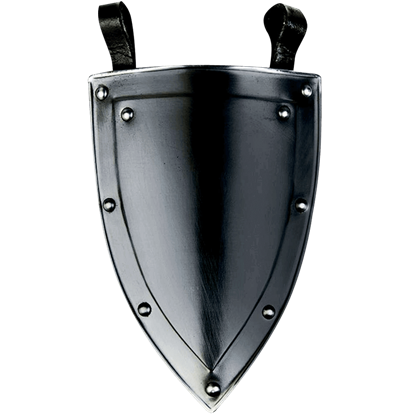 The Blackened Balthasar Shield Tasset is an easy way to spice up your LARP armour outfits while incorporating extra protection. 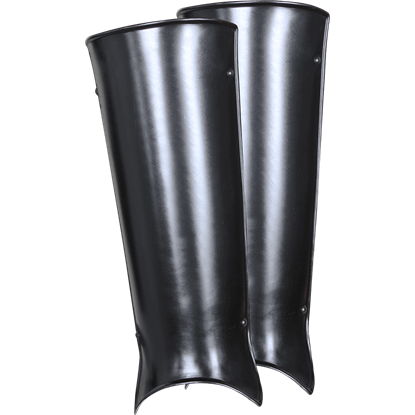 Easily attached to a belt via two leather loops, this plate armour piece is incredibly versatile.